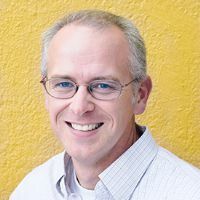 The following was submitted by David Wiley as a good introduction to his thoughts on open educational resources and is a preprint of an essay set to appear in Bonk, Lee, Reeves, and Reynolds’s book, MOOCs and Open Education around the World. It may have undergone additional editing before publication. This essay remixes some material that was previously published on Wiley’s website, opencontent.org [http://opencontent.org/] and is available at https://edtechbooks.org/-dB. For additional learning from Wiley about open educational resources and their relevance to education, see his TEDx Talk. In this piece I briefly explore the damage done to the idea of “open” by MOOCs, advocate for a return to a strengthened idea of “open,” and describe an open education infrastructure on which the future of educational innovation depends. MOOCs, as popularized by Udacity and Coursera, have done more harm to the cause of open education than anything else in the history of the movement. They have inflicted this harm by promoting and popularizing an abjectly impoverished understanding of the word “open.” To fully appreciate the damage they have imposed requires that I lightly sketch some historical context. Fast-forward 30 years. In 2001 MIT announced its OpenCourseWare initiative, providing additional meaning to the term “open” in the higher education context. MIT OCW would make the materials used in teaching its on campus courses available to the public, for free, under an “open license.” This open license provided individuals and organizations with a broad range of copyright-related permissions: anyone was free to make copies of the materials, make changes or improvements to the materials, and to redistribute them (in their original or modified forms) to others. All these permissions were granted without any payment or additional copyright clearance hurdles. OER are teaching, learning, and research resources that reside in the public domain or have been released under an intellectual property license that permits their free use and re-purposing by others. Open educational resources include full courses, course materials, modules, textbooks, streaming videos, tests, software, and any other tools, materials, or techniques used to support access to knowledge (Hewlett, 2014). According to Creative Commons (2014), there were over 400 million openly licensed creative works published online as of 2010, and many of these can be used in support of learning. Why is the conceptualization of “open” as “open licensing” so interesting, so crucial, and such an advance over the simple notion of open entry? In describing the power of open source software enabled by open licensing, Eric Raymond (2000) wrote, “Any tool should be useful in the expected way, but a truly great tool lends itself to uses you never expected.” Those never expected uses are possible because of the broad, free permissions granted by open licensing. Adam Thierer (2014) has described a principle he calls “permissionless innovation.” I have summarized the idea by saying that “openness facilitates the unexpected” (Wiley, 2013). However you characterize it, the need to ask for permission and pay for permission makes experimentation more costly. Increasing the cost of experimentation guarantees that less experimentation will happen. Less experimentation means, by definition, less discovery and innovation. Imagine you’re planning to experiment with a new educational model. Now imagine two ways this experiment could be conducted. In the first model, you pay exorbitant fees to temporarily license (never own) digital content from Pearson, and you pay equivalent fees to temporarily license (never own) Blackboard to host and deliver the content. In a second model, you utilize freely available open educational resources delivered from inside a free, open source learning management system. The first experiment cannot occur without raising venture capital or other significant funding. The second experiment can be run with almost no funding whatsoever. If we wish to democratize innovation, as von Hippel (2005) has described it, we would do well to support and protect our ability to engage in the second model of experimentation. Open licenses provide and protect exactly that sort of experimental space. These 5R permissions, together with a clear statement that they are provided for free and in perpetuity, are articulated in many of the Creative Commons licenses. When you download a video from Khan Academy, some lecture notes from MIT OpenCourseWare, an article from Wikipedia, or a textbook from OpenStax College—all of which use a Creative Commons license—you have free and perpetual permission to engage in the 5R activities with those materials. Because they are published under a Creative Commons license, you don’t need to call to ask for permission and you don’t need to pay a license fee. You can simply get on with the business of supporting your students’ learning. Or you can conduct some other kind of teaching and learning experiment—and you can do it for free, without needing additional permissions from a brace of copyright holders. How would a change in the operational definition of “open” affect the large MOOC providers? If MOOC providers changed from “open means open entry” to “open means open licenses” what would the impact be? Specifically, if the videos, assessment, and other content in a Coursera or Udacity MOOC were openly licensed would it reduce the “massive” access that people around the world have to the courses? No. In fact, it would drastically expand the access enjoyed by people around the world, as learners everywhere would be free to download, translate, and redistribute the MOOC content. MOOCs could become part of the innovation conversation. Despite all the hyperbole, it has become clear that MOOCs are nothing more than traditional online courses enhanced by open entry, and not the innovation so many had hoped for. Worse than that, because of their retrograde approach to “open,” MOOCs are guaranteed to be left by the wayside as future educational innovation happens because it is simply too expensive to run a meaningful number of experiments in the MOOC context. Where will the experiments that define the future of teaching and learning be conducted, then? Many of them will be conducted on top of what I call the open education infrastructure. The term typically refers to the technical structures that support a society, such as roads, bridges, water supply, sewers, electrical grids, telecommunications, and so forth, and can be defined as “the physical components of interrelated systems providing commodities and services essential to enable, sustain, or enhance societal living conditions.” Viewed functionally, infrastructure facilitates the production of goods and services. What would constitute an education infrastructure? I don’t mean a technological infrastructure, like Learning Management Systems. I mean to ask, what types of components are included in the set of interconnected structural elements that provide the framework supporting education? I can’t imagine a way to conduct a program of education without all four of the following components: competencies or learning outcomes, educational resources that support the achievement of those outcomes, assessments by which learners can demonstrate their achievement of those outcomes, and credentials that certify their mastery of those outcomes to third parties. There may be more components to the core education infrastructure than these four, but I would argue that these four clearly qualify as interconnected structural elements that provide the framework underlying every program of formal education. Not everyone has the time, resources, talent, or inclination to completely recreate competency maps, textbooks, assessments, and credentialing models for every course they teach. As in the discussion of permissionless, democratized innovation above, it simply makes things faster, easier, cheaper, and better for everyone when there is high quality, openly available infrastructure already deployed that we can remix and experiment upon. Historically, we have only applied the principle of openness to one of the four components of the education infrastructure I listed above: educational resources, and I have been arguing that “content is infrastructure” (Wiley, 2005) for a decade now. More recently, Mozilla has created and shared an open credentialing infrastructure through their open badges work (Mozilla, 2014). But little has been done to promote the cause of openness in the areas of competencies and assessments. I think one of the primary reasons competency-based education (CBE) programs have been so slow to develop in the US – even after the Department of Education made its federal financial aid policies friendlier to CBE programs – is the terrific amount of work necessary to develop a solid set of competencies. Again, not everyone has the time or expertise to do this work. Because it’s so hard, many institutions with CBE programs treat their competencies like a secret family recipe, hoarding them away and keeping them fully copyrighted (apparently without experiencing any cognitive dissonance while they promote the use of OER among their students). This behavior has seriously stymied growth and innovation in CBE in my view. If an institution would openly license a complete set of competencies, that would give other institutions a foundation on which to build new programs, models, and other experiments. The open competencies could be revised and remixed according to the needs of local programs, and they can be added to, or subtracted from, to meet those needs as well. This act of sharing would also give the institution of origin an opportunity to benefit from remixes, revisions, and new competencies added to their original set by others. Furthermore, openly licensing more sophisticated sets of competencies provides a public, transparent, and concrete foundation around which to marshal empirical evidence and build supported arguments about the scoping and sequencing of what students should learn. Open competencies are the core of the open education infrastructure because they provide the context that imbues resources, assessments, and credentials with meaning—from the perspective of the instructional designer, teacher, or program planner. (They are imbued with meaning for students through these and additional means.) You don’t know if a given resource is the “right” resource to use, or if an assessment is giving students an opportunity to demonstrate the “right” kind of mastery, without the competency as a referent. (For example, an extremely high quality, high fidelity, interactive chemistry lab simulation is the “wrong” content if students are supposed to be learning world history.) Likewise, a credential is essentially meaningless if a third party like an employer cannot refer to the skill or set of skills its possession supposedly certifies. For years, creators of open educational resources have declined to share their assessments in order to “keep them secure” so that students won’t cheat on exams, quizzes, and homework. This security mindset has prevented sharing of assessments. In CBE programs, students often demonstrate their mastery of competencies through “performance assessments.” Unlike some traditional multiple-choice assessments, performance assessments require students to demonstrate mastery by performing a skill or producing something. Consequently, performance assessments are very difficult to cheat on. For example, even if you find out a week ahead of time that the end of unit exam will require you to make 8 out of 10 free throws, there’s really no way to cheat on the assessment. Either you will master the skill and be able to demonstrate that mastery or you won’t. Because performance assessments are so difficult to cheat on, keeping them secure can be less of a concern, making it possible for performance assessments to be openly licensed and publicly shared. Once they are openly licensed, these assessments can be retained, revised, remixed, reused, and redistributed. Another way of alleviating concerns around the security of assessment items is to create openly licensed assessment banks that contain hundreds or thousands of assessments – so many assessments that cheating becomes more difficult and time consuming than simply learning. This interconnected set of components provides a foundation that will greatly decrease the time, cost, and complexity of the search for more effective models of education. (It will provide related benefits for informal learning, as well). From the bottom up, open competencies provide the overall blueprint and foundation, open educational resources provide a pathway to mastering the competencies, open assessments provide the opportunity to demonstrate mastery of the competencies, and open credentials which point to both the competency statements and results of performance assessments certify to third parties that learners have in fact mastered the competency in question. When open licenses are applied up and down the entire stack—creating truly open credentials, open assessments, open educational resources, and open competencies, resulting in an open education infrastructure—each part of the stack can be altered, adapted, improved, customized, and otherwise made to fit local needs without the need to ask for permission or pay licensing fees. Local actors with local expertise are empowered to build on top of the infrastructure to solve local problems. Freely. Creating an open education infrastructure unleashes the talent and passion of people who want to solve education problems but don’t have time to reinvent the wheel and rediscover fire in the process. “Openness facilitates the unexpected.” We can’t possibly imagine all the incredible ways people and institutions will use the open education infrastructure to make incremental improvements or deploy novel innovations from out of left field. That’s exactly why we need to build it, and that’s why we need to commit to a strong conceptualization of open, grounded firmly in the 5R framework and open licenses. After reading the chapter share your thoughts on the theory that MOOCs have damaged the use of “open” resources. Describe a contribution you could make to open educational resources. Dr. David Wiley is the chief academic officer of Lumen Learning, an organization offering open educational resources designed to increase student access and success. Dr. Wiley has founded or co-founded numerous entities, including Lumen Learning, Mountain Heights Academy (an open high school), and Degreed. 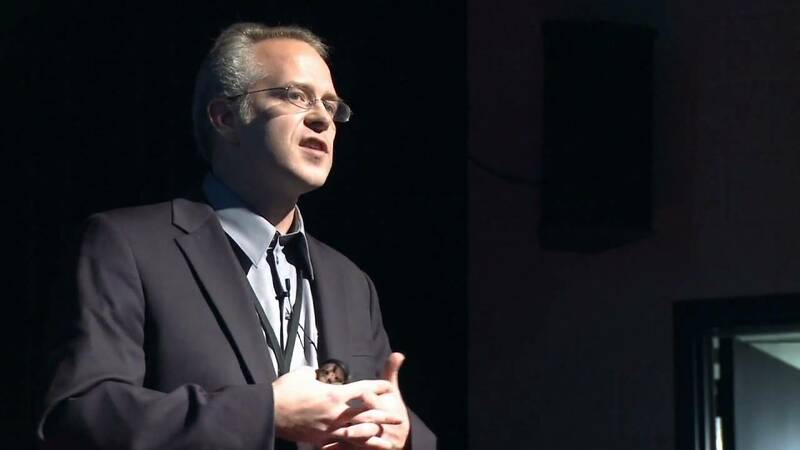 He was named one of the 100 Most Creative People in Business by Fast Company, currently serves as Education Fellow at Creative Commons, and leads the Open Education Group in Brigham Young University’s instructional psychology and technology graduate program. He has been a Shuttleworth Fellow, served as a Fellow of Internet and Society at Stanford Law School, and was a Fellow of Social Entrepreneurship at BYU’s Marriott School of Management.